*Use plastic spatulas, spoons, pastry brushes, and other kitchen utensils without worrying about causing damage from the blade. Carefully remove the blade from the Mixing Bowl. Quickly drop the thermoplug into the TM Mixing Bowl. Attach bottom mixing bowl base to secure the thermoplug in place, twist the base and ensure the base is parallel to the handle when locked into place. Do not use with thermoplug while operating your Thermomix®. **Children should always be supervised when cooking. Not to be used by small children. *The thermoplug has no association or affiliation with Vorkwerk or distributors. The thermoplug has not been tested by Vorwerk, or any of its distributors. 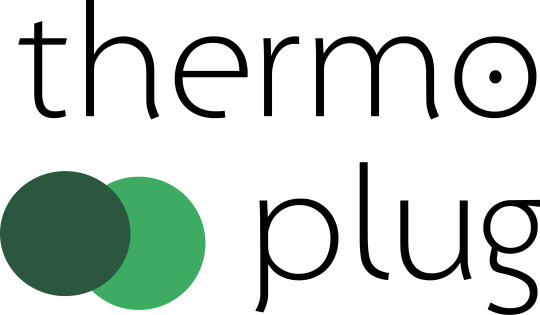 Vorwerk and distributors have not authorised or approved the use of the thermoplug with Thermomix® appliances. “Thermomix ® ” is a registered trade mark of Vorwerk International AG (Vorwerk) in Australia (and) New Zealand and Thermomix ® in Australia Pty Ltd (Thermomix ® in Australia) is its authorised user and exclusive distributor in Australia and New Zealand of Thermomix ® products. Neither company supports, authorises or endorses this site”.